FC dev jam is a 14 day game jam. It forces you to write a small fantasy console from scratch (graphic libs are fine) in any language under two weeks. So, what is a fantasy console? A Fantasy Console (FC) must not have existing hardware. e.g. The arduboy is not a fantasy console. A FC may be influenced by retro hardware. While most FC's already are influenced by hardware choices of the past, I don't think it's a hard requirement. I feel that while the nostalga factor is awesome, it can't be required. A FC may have tools included. I feed that requiring built-in tools being necessary is also beyond the scope of a fantasy console. Old DMG01 hackers remember having to make their own software and hardware just to dev for it. Requiring tools is a very nice thing, but it can't be a requirement. It must have some form of output. lights, screen, speaker, etc. So you could make a controller console that only outputs sound. That would be a legit, albeit strange, fc. RAM is not a requirement - I imagine there could be some interesting FC's that only have CPU registers ROM is not a requirement (e.g. the Altair 8800). You don't have to work on it for one week straight, but the total time spent on making it shouldn't take more than 14 days. Be nice to other, don't take other ideas, be creative! Make a game and ship it with your console!  Use a really tiny resolution (64x64 for example, it would be really neat for using in the #LOWREZJAM)! Limit your time even more! Add a web exporting for your carts! Tweet about your FC on the @fantasy_console Twitter account.